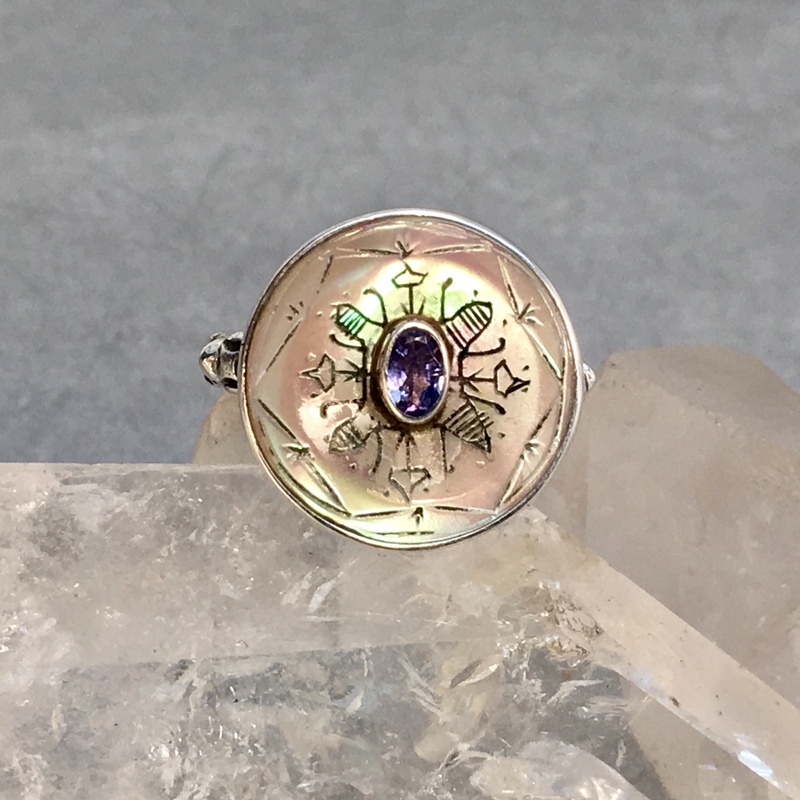 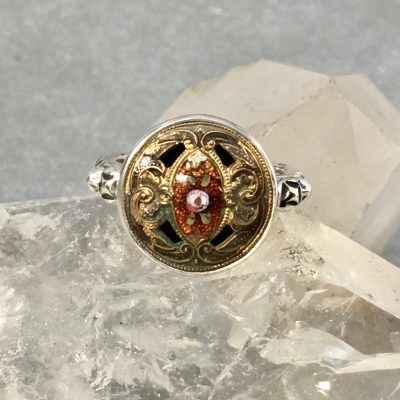 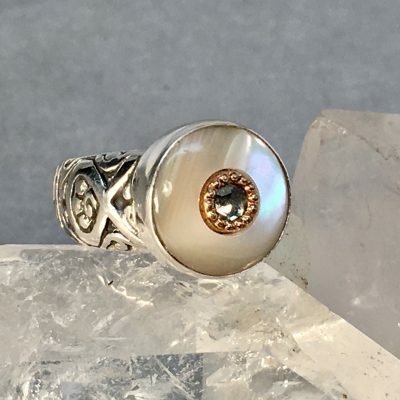 Victorian Tinted Carved Pearl Button with Iolite facet Stone Center. Button measures 3/4″ diameter. 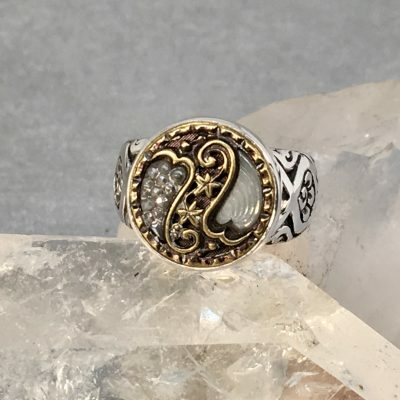 Sterling Silver ornate Ring band.